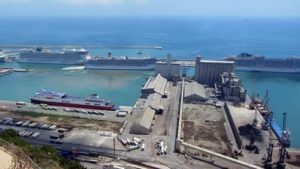 Our Barcelona cruise port guide gives you information about the docking location, cruise dock, transportation options and much more! 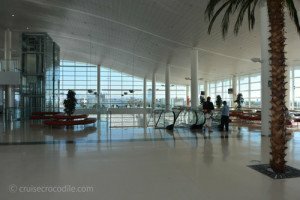 Welcome to the Barcelona cruise port guide. Barcelona is the capital of Catalunya with 1,6 million inhabitants. It is also the 2nd largest city of Spain. It doesn’t matter who you are or where you are from, it is hard not to fall in love with Barcelona. This is the city of Gaudi, Picasso and Miro. When talking about Barcelona the name Gaudi has to drop. There is no other architect in the world that could parallel what he was able to do for Barcelona in the late 19th, beginning 20th century. His work makes sense, the human eye and instinct simply react to his work that involves the geometric form of nature into every curve and staircase. Think about Park Guell, Sagrada Familia or Casa Mila and how nothing in the world is like this. Promise yourself that on a visit to Barcelona you at least make a stop at one Gaudi building. Beyond all its gorgeous sites, this is the city that has such an enormous elegance to it. 2.000 years of history mix and mingle with the modern and early 20th century architecture for which Barcelona is so incredibly famous. It is a city that has truly a unique identity. Barcelona with all of its beautiful citizens if living the good life. It is commercially dynamic, politically active and culturally expressive. Barcelona has large cruise port that accommodate several cruise ships at the same time. 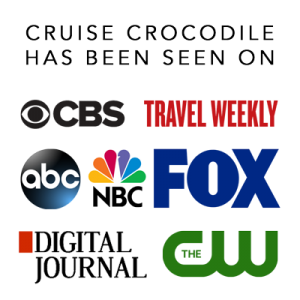 There are several docks and cruise terminals. Most docks have a modern cruise terminal. The facilities vary from terminal to terminal. If your cruise ship is docking at the long pier this will be your view as soon as you dock. It is not a very attractive spot yet, but remember that 1or 2 km’s from here you will find one of the most exciting places on earth. At the cruise terminal you will find a poster like this. It will tell you what the fare is to several places in town. Cruise ship dock at Barcelona’s cruise terminal A, B, C or D. The smaller cruise ships are able to dock at the boulevard. The normal sized ships however will dock at terminal A, B, C or D. Most of the times the cruise liners will provide a shuttle service to get to the city centre. Check with your ship what the plan is for your particular call. If the ship doesn’t provide a shuttle bus you can always use the port shuttle. 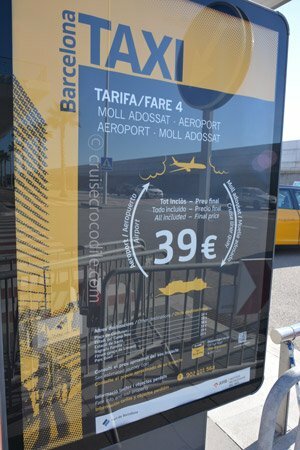 This is a service offered by the port that you can use for just a couple of euro (pay the driver). It drops you off near the Columbus monument, close to La Rambla (Barcelona’s famous pedestrian street). You are allowed to walk in the port area, but check how far it is before you start your walk. It usually varies from 1 to 2,5 km. The Public Transport is the easiest way to get around Barcelona. Especially the metro is a great, fast and cheap way to go. Find the nearest metro station at the beginning of the La Rambla. The most important metro stops are: Plaça de Catalunya (heart of Barcelona), Passeig de Gràcia (for Casa Mila or Batllo), Sagrada Famillia (for Sagrada Familia), Diagonal (for Gaudi’s La Pedrera, Paral.lel (for the funicular to Mt Montjuic), Collblanc (for FC Barcelona stadium) and Barceloneta (10 minute walk from the beach). The metro operates between 5 am and midnight. A day ticket for public transport cost 14 euro (valid for 2 days). You can also opt for Billet sensual, this is a one way ticket, but please know you cannot use these to transfer onto another line or bus. We would recommend the Tarjeta T-10, zone 1. This ticket is valid for 10 rides on the metro, bus and tram and only costs you 9,95 euro. Buy it at any metro station. The hop on hop off bus is available in Barcelona. Pick it up at the Colombus monument where the shuttle drops you off. If you are wondering what kind of public transport ticket to buy we would recommend T-10 for zone 1. It costs 9,95 euro. It allows you to travel by metro, bus or tram 10 times total. Purchase these cards in cash (coins or notes) from the ticket vending machines at the metro stations. The Gothic quarter is something not to be missed. It is a district parallel to La Rambla where you basically step back in time. 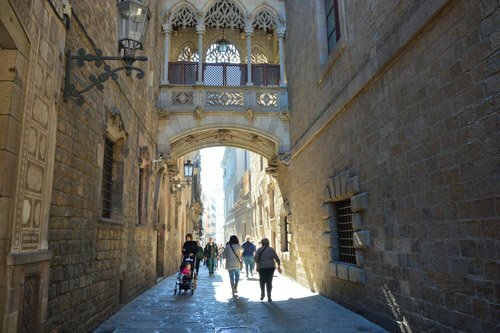 In this oldest area of Barcelona you’ll find bold towers dating back to Roman times, charming boutiques, medieval labyrinths of pedestrian streets and a mix of 13th and 15th century residences, antique shops and tapas bars. Cruise ships most of the times dock at the cruise terminals A, B, C or D on Molle Adossat. From here you can take the shuttle bus to the city. 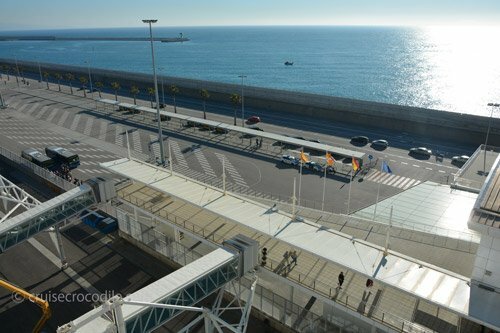 Find more information on your docking location and transportation options in the full Barcelona cruise port guide. Plaça de Catalunya marks the end of the La Rambla and the beginning of Gaudi land. This is without doubt the most important square for the people of Catalunya. Visit the square for its shopping, its transportation hub of to pass on your way to L’eixample. Sagrada Familia will one day become the most elaborate cathedral in the world. It is Gaudi’s master piece that even today it still unfinished. It is scheduled to open in 2026, a 100 years after Gaudi’s death. You don’t want to miss the inside of the cathedral for the fact that it is one of the most unusual structures in the world. The Cathedral of Barcelona is one not to be missed, because it is one of the finest examples of Gothic architecture. This is an architecture style that renewed Europe completely. It changed the experience of the church for the fact that this is the first time since Roman times that they are able to create large windows thanks to the pointy arch. Make sure to step inside to undergo the same religious experience as our fellow humans many centuries ago. This museum is located on Montjuic Hill. Inside you’ll find impressive collections of Gothic art, Renaissance, Baroque and Modern art. Outside is where you get one of the best experiences of Barcelona. Sit on the staircase overlooking the fountains and Barcelona while enjoying some live music and a cup of coffee. Is not in the city centre but well worth visiting. What Gaudi designed to be a residence housing project is nowadays a public park. In the park you’ll find the hall of a 100 columns, the playful arcade, the surfers tube, the mosaic benches and much more. La Rambla is the famous pedestrian street of 1,4 km. It is a great location to start your journey through Barcelona. Get a feel for the place with you stroll along the many souvenir stands, bird market, street artist and outdoor cafe’s. Casa Milà from the outside is not as spectacular as Casa Batllo, but the inside is by far more interesting. Here you’ll find several things inside, one of the most important being the museum that explains you in a very visual way the geometrical form of nature behind the architecture of Gaudi. Expect long lines, which will definitely be worth it. Casa Batlló was build between 1904 and 1906. Its architect was Gaudi himself. What looks like a house straight out of the story of Hans and Grettle stands here right in the centre of Barcelona. The inside is just as beautiful as the outside, make sure to make a stop inside. Passeig de Gràcia is regarded as the most expensive street in Barcelona and in Spain. It is an archtectual showcase. Modernism is the Catan version of Art Nouveau and you’ll find it here in all its glory. Find the famous Casa Mila and Casa Batlo here. The square that back in the days was the spot to enjoy a nice public hanging is today the big transportation hub of the city. Catch the train to Montserrat here for example. On this square you will also find the old bullring that nowadays houses the Bullfighting Museum of Barcelona. It you appreciate contemporary art this is the a museum you simply cannot miss. One of the most influential artist has thousands of pieces of art on display here. Parc de Montjuïc is the recreation area of Barcelona. It is located on an imposing hill overlooking the city. Green areas, gardens mix with museums and cultural attractions. It is home to: Botanical gardens, Magic Fountains, Archeological Museum, Barcelonas castle, Fundacio Miro and Museu Nacional d’Art de Catalunya. This is the “new” district of Barcelona. When the city grew in the 19th century this is where the new neighbourhood was established. When walking down the La Rambla you will see Plaça Reial popping up in the corner of your eye. This is the famous 19th century square with its neoclassical facade. Enjoy the beautiful fine arcades, palm trees and lams designed by nobody less than Antony Gaudi himself. The nice thing about this terrace is also that it is in the sun the entire day and that makes it perfect for a cup of coffee or some local tapas. Just off the La Rambla you’ll find Barcelona’s famous market: the Mercat de la Boqueria. It is an excellent public food market that is great for local food tastings.